THIS IS A MUST SEE! Beautiful updated ranch on the pond in Karrington Estates w/ new roof! Home offers 3 spacious bedrooms, 2 full bathrooms w/ a split floor plan. Kitchen boasts new appliances w/ ample cabinet space and new french door to patio. Kitchen features large breakfast bar open to living room which is perfect for family gatherings and/or entertaining. 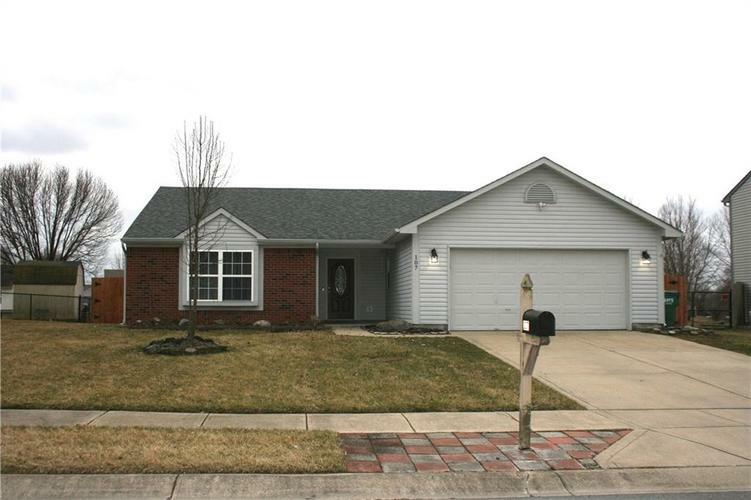 Fresh interior paint, LED lighting, vinyl/tile flooring and fully fenced rear yard w/ unobstructed view of the pond. Backyard also has an oversized concrete patio and another large poured patio for a mini-barn or shed. Directions:Go south on Kentucky Ave (IN-67 S), turn east on Hadley Rd, north on Karrington Blvd, west on Winterberry Ln. Home will be on your left.